A responsive website means your site will look great across all devices; desktop, tablet or phone. Please give us a little information about what you are interested in. A phone number is great but not required. We’ve Created 2 Responsive Website Development Plans To Fit Your Budget. Simple responsive 5 page site. home page, about us page, services, gallery, contact. Additional pages/ecommerce/services to be quoted. Website theme, plugin and core updates, basic SEO services and website security included. One site edit allowed per month. 2+ at $85.00/hr. Hosting additional ($155 per year). For extra security, we recommend a premium license to WordFence $99 per year. https://www.wordfence.com. 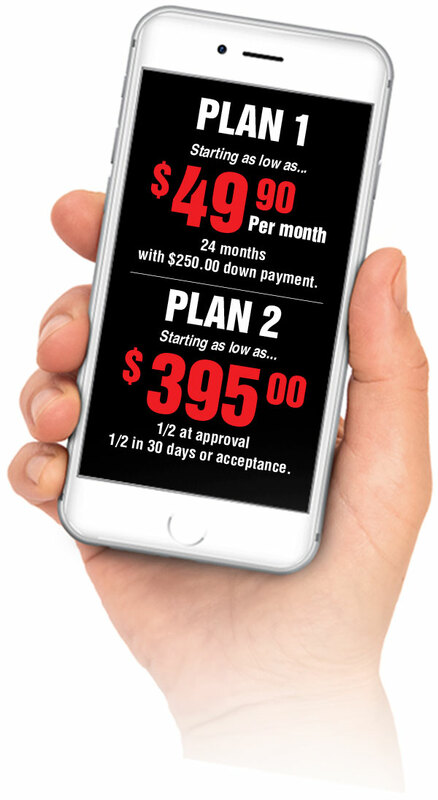 $49.95/month for 24 months with $250.00 down payment. $29.95/month thereafter with no contract, open ended. One simple responsive landing page includes a basic form. Perfect for as a social media response. 1/2 at approval – 1/2 in 30 days or acceptance. No contract or service agreement. Site edits available at $85.00/hr.